Agbar Tower (Torre Agbar) is an omnipresent skyscraper located in Barcelona city. Although it was built recently, its colorful surface (above all at night), its unique shape and its visibility from many points of the city have favored its fame among citizens and visitors. The skyscraper was designed by Jean Nouvel architect and was inaugurated in 2005. 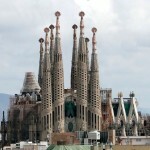 Jean Nouvel said that the design of the building was inspirited in Antoni Gaudi’ style, very popular in Barcelona. Agbar Tower has more than 30 levels and measures 145 metres in height, which means being the third higher building of the city. The skyscraper is placed at Diagonal Avenue number 211, in front of Catalan Glories Square (Plaza de las Glorias Catalanas). 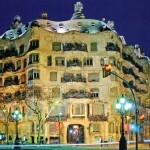 To arrive at Agbar Tower you can go by metro Line 1 to Glories Metro Station. 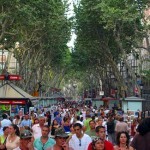 You can also go by tram, taking the Line T5 to La Farinera station or Line T4 to Ca l’Aranyó tram station. 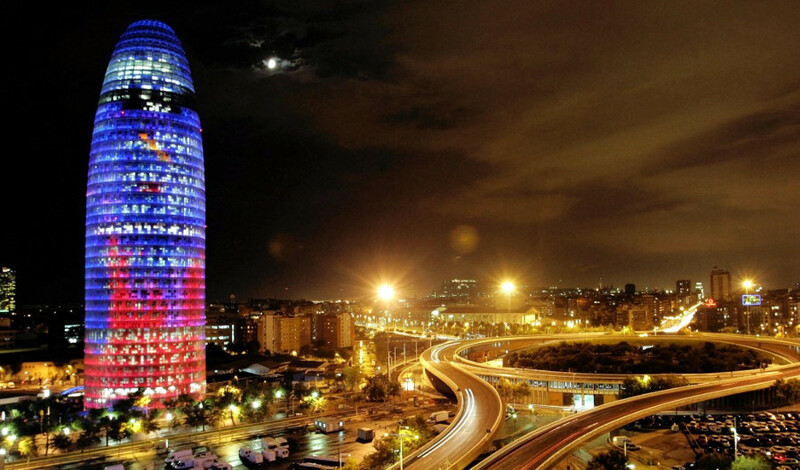 Agbar Tower has more than 50000 square metres of rooms. Inside the tower there is space for offices, an auditorium room and a luxury hotel. 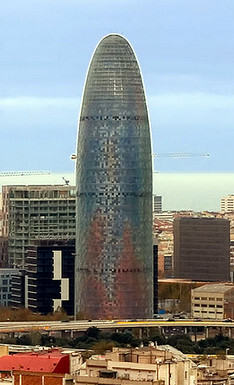 Nowadays, Agbar Tower is considered as one of the main icons of Barcelona. It is recommended to visiting it at night, when the crystal-surface of the skyscraper is illuminated by a vast variety of colors, creating amazing dynamic images and animations.